Shop from the comfort of home. Check out our online store for our latest golf specials and gift cards. 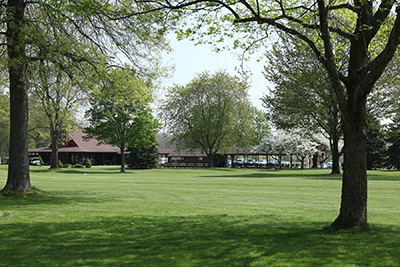 Tannenhauf Golf Club, located just 16 miles east of Canton, is a family owned golf course built in 1959. Designed by James G. Harrison and Fred Garbin, this par 72 is a challenging but fair test of one's golfing ability. Its country setting and serene atmosphere make it a fun and relaxing place to play. We start your day off with a challenging par 5 over the water and provide you with three more par 5's, four par 3's, and ten par 4's. Eighteen beautiful holes await you at Tannenhauf.